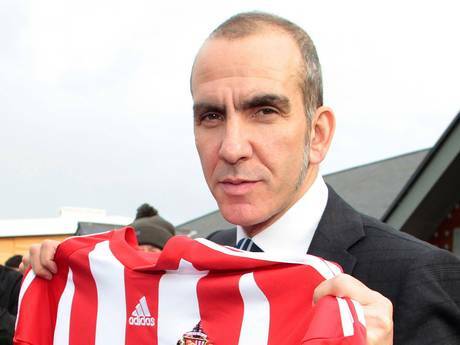 Paolo Di Canio’s Sunderland is going to look rather different to Martin O’Neill’s. Since his arrival, Di Canio has very strongly prioritised hard work, fitness, energy and passion. That doesn’t sound too different from O’Neill though right? O’Neill became unpopular because his team was playing an uninteresting, uninventive, unsubtle and ultimately, unsuccessful brand of football in which honesty and effort was put to the fore of the game plan. Nothing summed this up more than the January signing of Danny Graham for £5.5m. 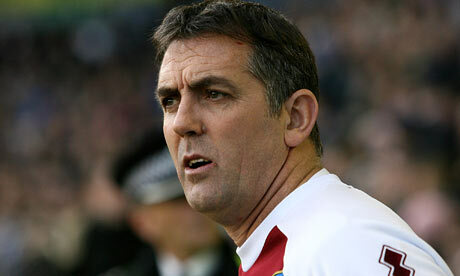 A hard working good professional certainly, but not the right man to add fizzle and goal power to a moribund attack. Indeed the one man in the Sunderland squad who offers a bit of something genial and different is Stephane Sessegnon, and now the Italian has made him available for transfer. Is this a surprising move? 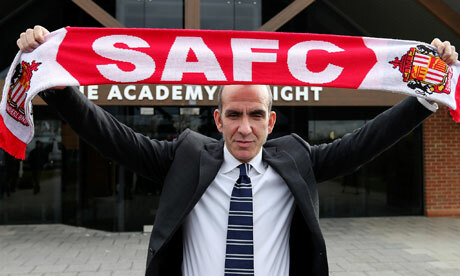 Or is it just the next step of Di Canio’s purge of the squad he inherited? Sessegnon’s 2011/12 season saw him score eight goals and make a further 12. He was one of the under the radar stars of the season, providing sparkle and production in his role behind the central striker. Last summer he was talked about as interesting Arsenal, PSG and Marseille. But this summer he is surplus to requirements. He must have had a terrible 2012/13 season then? Well, the odd thing is, the answer to that question is yes and no. The stats took a slight downturn; seven goals and six assists, but the perception of Sessegnon as something of a spent force came more from the fact that as Sunderland’s only creative player, when he struggled the whole team did. The burden of expectation to make things happen fell solely on him more often than not and although he wasn’t really that much worse than in 2011/12, the slight dip in his form, allied to big drops elsewhere exacerbated his apparent decline. James McClean regressed horrendously last season, his run fast and hard and smash the ball towards the goal game was easily nullified once his debut season novelty had worn off. Adam Johnson’s one trick of cutting in from the right to try and bend in a shot resulted in some good goals and a solid nine assists but it all added in to the one dimensional play that plagued Sunderland all season. With no central midfielder capable of passing the ball, and both wingers struggling for consistent threat, the only imaginative presence was Sessegnon. It meant that for teams defending Sunderland, taking out Sessegnon as a threat meant they ran out of ideas. Short of giving it to Johnson and hoping he could do something or that when fit, Steven Fletcher kept scoring with every single shot he took, they couldn’t score goals. Di Canio is trying to change this, but Sessegnon seems to fall foul of him mostly because of his lack of top end pace and even more because of his dubious work ethic defensively. The problem Sunderland could face though, is that their problems last season didn’t come from defensive or effort issues. They tried hard, but they didn’t have the variety and subtlety to get them out of trouble. Selling Sessegnon means that the club lose their one player capable of sparkle. Yes, he doesn’t run hard, he doesn’t press hard, but he can make something out of nothing. The squad Sunderland are building next season are going to be modelled on the German model of pressing high, pressing constantly and breaking with speed. Clearly, there is no place for a meandering Sessegnon in that. But if Di Canio is copying Bayern Munich and Borussia Dortmund, he needs to remember that they have the likes of Mario Gotze, Marco Reus, Bastian Schweinsteiger and Franck Ribery. Players of exceptional quality on the ball. Not just fast players and hard working players. It seems as if Di Canio’s recruitment is swapping the strong, try hard qualities of Martin O’Neill for a team of athletic, try hard players, looking to press and squeeze at all times. But if he doesn’t add any quality and class it could be swapping one kind of inefficiency for another. Paolo Di Canio and his new director of football Roberto De Fanti’s summer recruitment drive has begun with the capture of three Bosman free agents but it is the name, and stature, of Modibo Diakite that stands out. 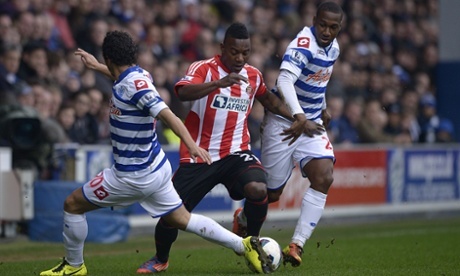 Diakite has long been on Premier League radars due to his sheer physicality and size. He is 6’4′ and also quick and very strong. He is an excellent aerial presence and capable of dominating games. He would appear at first glance to be an ideal partner to the more cerebral John O’Shea and the talk is that they beat several big teams such as Juventus, Napoli and Liverpool to get him. Diakite is one of those players who has always been highly regarded, but at Lazio he struggled to impose himself on the first team. The 2011/12 was his best in terms of games played with 25 in Serie A, not playing at all last season. This is for a couple of reasons. When new manager Vladimir Petkovic arrived at Lazio last summer Diakite was out injured and he remained so until November. By that point Lazio had established a central defensive pairing of the more reliable, but less dominating, 36 and 34 year old pairing of Biava and Andre Dias. Petkovic is something of a disciplinarian, a man who expects nothing but endeavour and hard work at all times and doesn’t suffer fools gladly. Sounds a little like Paolo Di Canio right? 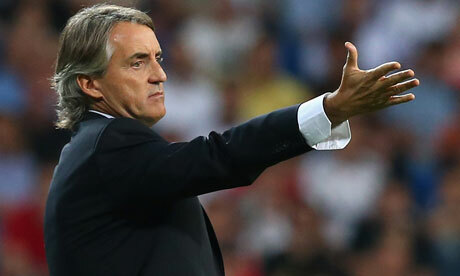 Under Petkovic Lazio play a more tactically sophisticated brand of football than most teams in the Premier League. One of the knocks on Diakite has been that his positioning and footballing intelligence is a weakness, and it is a weakness that didn’t sit right with what Petkovic needed from his defence. If he needed big physical athletes he wouldn’t have wheeled out a defence with a combined age of 70. He needed positional discipline and organisation and with two deep-sitting midfielders to protect them and do the running. 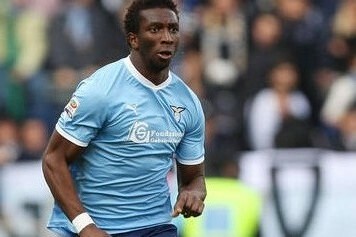 It made Diakite expendable for Lazio’s specific system and personnel, but by no means undesirable for other teams. Despite only playing once last season Diakite attracted interest from around Europe. Mostly, these teams were looking at his raw tools and wondering if, with the right coaching, they could make him a starter. But Diakite wanted to start right now, and so Sunderland had an advantage. If Diakite has a great year in England, as a starter, he still has a chance of making the French World Cup squad in an area that France aren’t overstocked with talent. Sunderland give him that platform. Still, beating the likes of Napoli and Juventus to a player is still quite an achievement. All it would take is an injury there and he could be in the Champions League, so Sunderland obviously sold themselves well. The presence of Lazio idol Di Canio no doubt helps, and he will be more than aware of how best to use Diakite. He has all the physical capabilities needed for success in the Premier League and if they pair him with a positionally sound O’Shea, with some good midfield protection he can be a big hit. I’ve read a lot of articles recently, looked through a lot of Twitter feeds and a lot of forums in preparation for Sunday’s big Tyne-Wear derby, and it still makes me laugh when Sunderland fans feel the need to refer back to a game in 1908 to have a dig at Newcastle fans. Over 100 years ago, before the first of two world wars and before anyone could even envisage a television set, yet Sunderland fans still feel its necessary to chant the words, “we beat the scum 9-1″. I will point out that despite none of these fans (usually 13-16 year olds) will have witnessed the game, Newcastle fielded a reserve team after winning the league comfortably that season. Just a small pointer to get started. With Sunderland hovering at the bottom end of the table, all their attention will be on Sunday’s crunch game, however for Newcastle it was all about Thursday night where they took on Benfica in the Europa League quarter-finals. 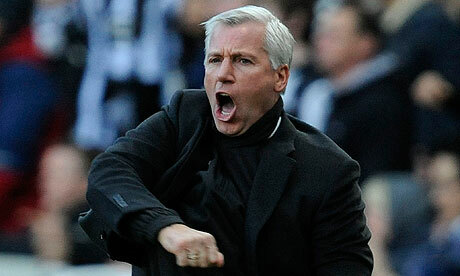 Despite the bad timing of such a game I would be very surprised if any Newcastle fan wanted it any other way. To be back playing in Europe on the big stage is something we could only have dreamed about when we were in the Championship three seasons ago and to make the last eight, despite injuries and suspensions, is something to be very proud of. Just to compare the two teams in terms of European adventures Newcastle have played in Europe for 17 separate seasons playing over 120 competitive matches in cities such as Barcelona, Turin, Milan, Brugge, Moscow, Lisbon and Athens. Sunderland have played four games courtesy of an FA Cup win in 1973. And despite Newcastle’s hectic schedule this season, having to travel all over Europe clocking up thousands of air miles, they still find themselves above their rivals despite Sunderland’s longest European trip this season being away to Swansea City. Back to Sunday’s game and despite some so-called pundits seemingly brushing our derby aside as a relatively small event in comparison to the so-called bigger derbies, it is without the question in my eyes the biggest and most fierce derby in the country. The passion that comes down from the stands onto the pitch is something the Manchester, North London, Midlands, and Merseyside derbies could only dream of having. As the famous saying goes, ‘you would have to see it to believe it’, and in this case that could not be more true. Having been to many derby games myself I can tell any neutral fan outside this forgotten part of the country that no matter how passionate you feel towards your own team, the passion your derby creates will never come close to what us north-east natives create. The derby for us is not just a one-day event. When the fixtures are released in June that is when we start preparing for the two games and from then the countdown begins. As the game draws nearer the nerves become a little more increased and that is when you start getting the light-hearted banter between the two sets of fans, and as it gets closer and closer that banter more often then not turns a little bit more aggressive until you are so pumped up for the game it is the only thing that is keeping you awake. As a Newcastle fan I love both derbies, but nothing compares to a derby at the home of football, St James Park. The whole city is anticipating something special, and a lot of the time that is exactly what we get. The 5-1 demolition in 2010 instantly springs to mind as my best-ever derby experience. From waking up bright and early, from heading to the ground and to hearing the roar of the crowd as the players emerge to Local Hero. Nothing quite beats a derby day at Newcastle. The word ‘obsessed’ is used all too often in this part of the world, when one of our teams get beat the fans find it comforting to label their rivals as obsessed with their club’s demise. I’ve done it after a defeat, as I am sure everyone who reads this will have done. It is a heat of the moment thing you feel obliged to do just because you cannot stand the thought of your rivals taunting you! For Sunderland though, it seems to come all too natural. With modern day technology I have seen NUFC Twitter feeds littered with Sunderland fans mocking us after a defeat, whether it is a friendly match or a massive European game. I would love to see the day when fans concentrate on their own team’s affairs without having to judge others. The derby is another matter. We live for day when we beat Sunderland and can label ourselves, as Sunderland fans call themselves ‘top dogs of the north-east’. The derby can either leave you feeling top of the world or literally rock bottom. After a defeat you do not want to show your face to anyone, let alone a rival fan. You log out of all social networking sites, switch off your mobile phones and lock yourselves away for a good two days. And when you decide to come back into the world, you turn your phone on to see missed calls and texts from the people you have been so keen to avoid. I’ve been lucky enough to witness some great derby games. The 5-1 humiliation of 2010, the 3-2 win when Emre curled in that glorious free-kick past a helpless Kelvin Davies, the 4-1 win when Alan Shearer scored his last-ever competitive goal from the penalty spot in front of the travelling fans, and of course the memorable 1-0 away win when Ryan Taylor defied all the odds from the corner of the box. No matter what part of the country or the world you are from, if you support Newcastle United you know exactly what Sunday’s game means to us all. It simply means everything. So Paul Merson can take his beloved Midland Derby, Charlie Nicholas his Old Firm derby, Alan Smith his North London derby, Phil Thompson his Merseyside derby and Gary Neville his Manchester derby, put them all together and still not come anywhere near what our derby means. The Tyne-Wear derby is simply THE derby. Martin O’Neill has a very-clear signing policy, which is to get British players first and foremost, ideally those with Premier League experience but he has dabbled in the Scottish market too. Sunderland seem to be able to pull together good amounts of money every transfer window, which is important considering how much more expensive it is to buy players domestically than from abroad. They will spend a lot if they find players O’Neill wants. The likes of Fletcher, Graham and Johnson have been bought for the top end of their value. 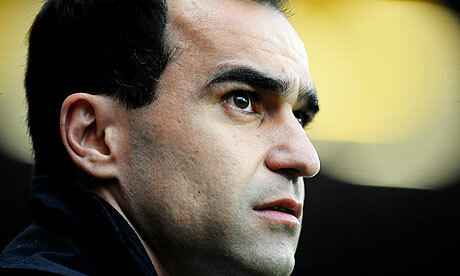 O’Neill is an attractive manager for players and they have been willing to go to Sunderland for a good few years. They seem to be able to sign players from most teams in the league, particularly teams that usually hang around the bottom half of the table. With this in mind, who will they be looking at this summer? 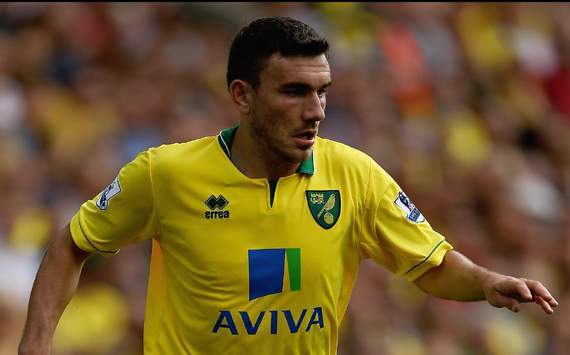 Scout Report Snodgrass has proven to be one of the shrewdest purchases of the summer 2012 window, not just for Norwich, but across the league. In his first season in the top flight he has looked like a natural, chipping in with four goals and four assists in the league from the right wing. He is skilful, technically exemplary and offers a direct threat. 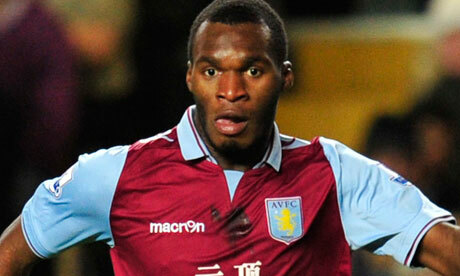 He is very creative and has often been the main flair player for Norwich this year. Where does he fit? Sunderland have a chronic lack of creativity. Only Adam Johnson and Stephane Sessegnon offer anything even approaching flair. Johnson hasn’t been very good this year though, he hasn’t been able to impose himself on games like he did at Manchester City now that he is the main man. Sessegnon has been wretchedly inconsistent, but more often than not he’s been ineffective. So much so that he has been shifted out wide where he has had less impact. Snodgrass could play on one wing with whoever is in form on the other. How much? Norwich aren’t a club that can turn down big offers so something in the £6-8m region would be about right. Scout Report McCarthy is a footballing central midfielder who is a good and imaginative passer of the ball. At just 22 he has plenty of potential yet to unlock. He is an excellent technician and now needs to add goals and assists to his game to take him to the next level. Where does he fit? Sunderland have a bunch of plodders and workmen in the middle of their midfield. 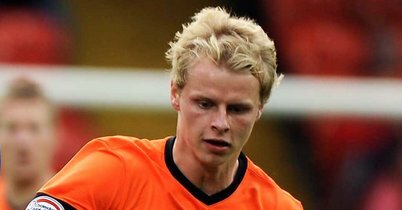 The likes of Larsson, Gardner and Colback are bits and pieces type players, none of them capable of passing the ball dangerously or creating something for the attackers. McCarthy would add something completely different to that. Sunderland have enough grit, they need some sparkle. How much? Wigan will always sell and £5-6m would be good for both teams. Scout Report Mackay-Steven is a flair-loaded attacking player capable of playing in any of the forward positions. He is fleet footed and well balanced and is now adding end product to his general threat having picked up four goals and four assists this season. He is raw, but capable of the unexpected. Where does he fit? Sunderland’s attacking pattern is so obvious that every team they face knows how to shut it down. If the old, pass it wide, do a few step overs, cross aimlessly, doesn’t work they don’t have anything else to offer. Mackay-Steven would be an X-Factor; able to unlock defences with a jinking run or a bit of trickery. He might be frustrating and not as hard a worker as O’Neill likes but so was Ashley Young at Villa and he did OK for him. How much? He would be a snip at around £1-2m. Scout Report Bolasie has good versatility, able to operate near enough anywhere in midfield or attack. He is a real physical specimen, big, strong and quick, unusually so for the positions he operates in. He has a long languid style and looks disarmingly relaxed on the field. However, when he gets the ball at his feet he either runs straight at his opponents are finds a direct pass. He can score and make goals. Where does he fit? Sunderland don’t really have any pure athletes in their attack. Bolasie is an all round package in that respect. He can operate in so many different positions, a useful asset for making the first team at a club with a small squad, and brings something the club don’t currently have. He could offer a real change of pace and a new angle of attack. How much? Not for sale if Palace go up but if they don’t it would be hard for them to resist £3-4m, even with the Zaha money. Scout Report Riether has shown on loan at Fulham that he is very much a Premier League full back. He is tactically sound, works hard and is capable of picking a pass when he ventures forward. Where does he fit? Sunderland’s defence has been a revolving door this season. They have been particularly unsettled at full back where they have recently been deploying two central midfielders. They need a full back that they can just leave to get on with it, and Riether would be ideal for that. O’Neill can put him in and not worry about him whilst he tries to fix the attack. How much? They would be bidding against Fulham in the £3m range. Tottenham will be glad to see the back of March and their tricky fixture list against some of the best sides in the Premier League. A stuttering period has been costly, with Spurs relinquishing their grip on third place and falling to fourth, behind Arsenal. However, with a more agreeable five fixtures in April, Harry Redknapp’s men will look to close the three-point gap on their bitter rivals and take back the automatic Champions League qualification place. Tottenham take on the progressive Welsh side at home this Sunday, and will look to get back to winning ways in the league after only two points from their last five games in the division. Brendan Rodgers has instilled an exciting passing style in the Liberty Stadium outfit, who have surpassed all expectations this season in their first season in the top flight. The Swans are generally better at home than on the road, but have nothing to lose and will go out to compete. In Gylfi Sigurdssson the visitors have a dangerous attacking midfielder who can score goals also; Spurs must watch the on-loan Iceland international carefully. However, with the bulk of his players fit and available for selection, Harry Redknapp will urge his men to show their quality and get three points. Not an easy fixture by any means, Sunderland are always a tricky opponent in front of the passionate Stadium of Light crowd. The Wearside club looked like relegation contenders back in December, but new manager Martin O’Neill has given The Black Cats confidence and powered them up into the top half. 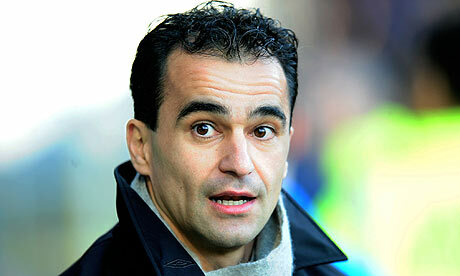 The Bantams have taken their foot off the pedal slightly in recent weeks, and Spurs will be buoyed on by Everton’s comprehensive 2-0 win over Sunderland away from home in the FA Cup quarter-finals. 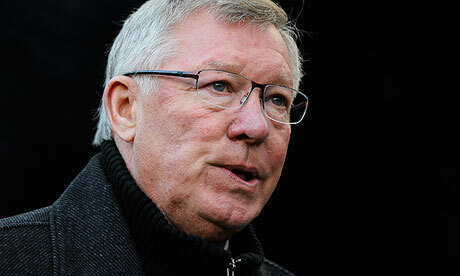 However, O’Neill will motivate his side to be at their best as they look to finish as high as possible in the league. In James McClean the hosts have a tricky and fearless winger, who has lit the Premier League up in his debut season, whilst Stephane Sessegnon is difficult to mark as he plays in the hole between teams’ midfield and defence. Redknapp should adopt a three-man midfield and hope the likes of Gareth Bale and Rafael van der Vaart can inspire the London side to victory. Another home clash against a newly-promoted side, this on paper is a game Tottenham must win. Despite the relative inexperience of the Canaries’ players in the top flight, the Carrow Road club have, like Swansea, got their teeth into their campaign back in the big time and not looked out of place. Paul Lambert’s men have already guaranteed their safety, and Tottenham will hope to catch Norwich cold after a long, hard season. At White Hart Lane the visitors will most likely set up a defensive line-up and look to counter on the break, so Spurs must be patient in attempts to breaks their opponents down. Targetman Grant Holt will provide a threat in attack, and the bulky striker must be given little space by the Spurs centre half pairing. Enforcing some strong and fast like Younes Kaboul to counter Holt’s physicality may be a good move. London rivals QPR are fighting for their lives at the bottom of the Premier League, and are right in the mix with four other teams in the battle to avoid demotion to the Championship. 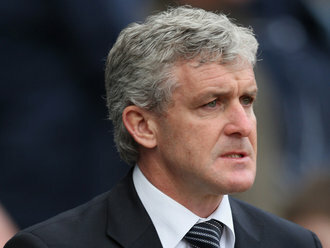 Mark Hughes has a raft of January signings at his disposal, and the Loftus Road crowd will be desperate to pick up points. Despite their position in the bottom three of the division, Rangers have shown some steel at home at times, beating Chelsea and overturning a two-goal deficit to get three points over Liverpool in a recent 3-2 win. The fact that the fixture is a London derby will also motivate the hosts. The Hoops’ frontline of Djibril Cisse and Bobby Zamora has the ability to hurt any side, and the former France international in particular has the pedigree and experience to score goals. 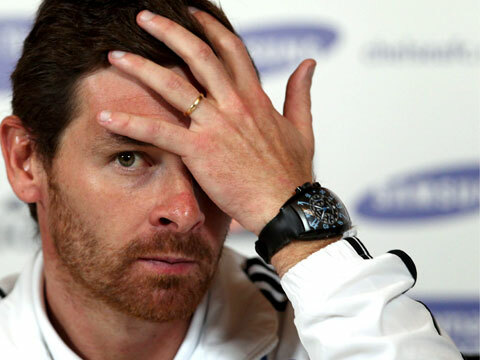 However, Spurs will look to get a grip of the game in midfield, and if they do so should be on top. A home game against Blackburn completes the Premier League schedule for April, and the White Hart Lane faithful will hope that their side have strung together wins and all but sealed their place in the top four by this point. Rovers are likely to be panicking by the time this fixture comes around, and any team fighting to avoid relegation are dangerous to play towards the end of the season. 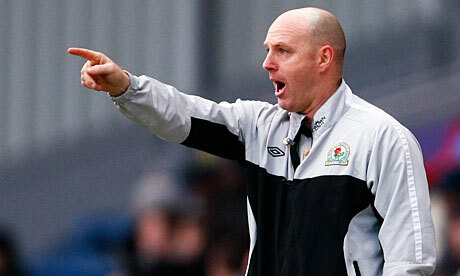 Steve Kean has given a relatively young group confidence, and they have the ability to spring a surprise; they have beaten both Manchester United and Arsenal this term. 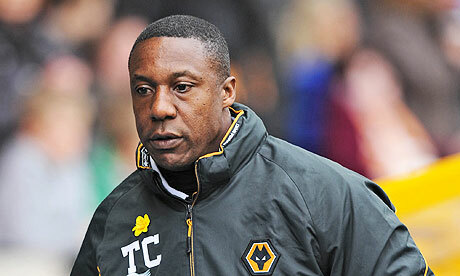 The visitors’ hope will rest on veteran striker Yakubu and young prospect Junior Hoilett. The Nigerian has re-found his goal-scoring form this term, whilst Hoilett has an assurance on the ball that will most likely see him move to a bigger club in the summer. All in all Tottenham will want to put their bad run of form behind them, and will believe that they have the ability to win all five of these games. Sunderland away will be the most difficult fixture, but it is imperative that at least all games at White Hart Lane result in three points for the hosts. Is the cost of English players forcing Premier League clubs to look abroad? With the much publicised transfers of Phil Jones and Jordan Henderson being completed by Manchester United and Liverpool respectively in the last week for a combined total of £36.5 million, most Premier League managers will be looking to the continent and beyond for their summer signings. Both England under 21 players have quality and potential in abundance, with that there is no argument, but such extortionate transfer fees will leave the majority of top flight sides financially out of the equation when looking to sign British players, and bring more foreigners to English shores. The grievance is not with Sunderland or Blackburn, as neither wanted to lose their prodigious talents, both of which have been cultivated and nurtured through the clubs’ youth ranks. It was obvious that both players wanted to go, so why not get as high a fee as possible? The staggering thing is the amount of money it takes, and the big clubs are willing to pay, to buy young English talent. With FIFA eager to bring quotas into the game surrounding the number of home-grown players, and the Premier League being acknowledged as having a style and pace of play that takes time to adjust to, young British players will continue to cost an arm and a leg. This piece is not a slight against either of the players personally; as a Spurs fan I would have liked to see them at White Hart Lane, especially Jones. But for £16.5 million? The 19 year old has only made 35 appearances in senior football. Henderson’s £20 million buys you a midfielder who has found the net a mere four times in over 70 games. My argument is not that he should score more goals, it is that for £20 million you would expect a player with a more rounded game. In Europe there are much cheaper alternatives. Newcastle United have just signed Yohan Cabaye from Lille for a fee believed to be around £5million, a player not dissimilar to Henderson. The 25 year old French midfielder is fresh from helping Lille to a league and cup double, playing the majority of the side’s games. He has featured in almost 200 first class matches, and has represented his country on four occasions; the key point however is that he cost a quarter of what Liverpool just splurged on Henderson. 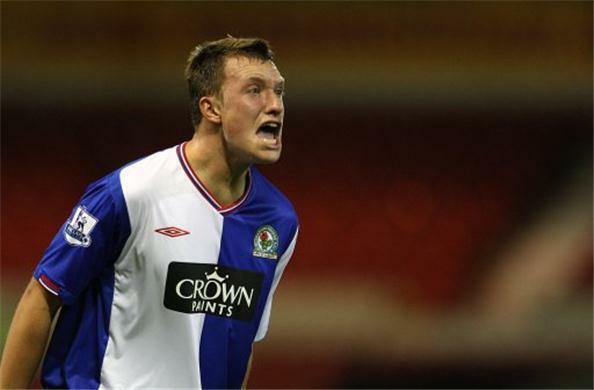 Personally I believe Jones to be the better prospect of the two, but again the transfer fee seems excessive. £16.5million? If Gary Cahill is to leave Bolton in the next months the fee will be similar, whilst Arsenal target and Jones’ centre-half partner at Ewood Park Christopher Samba is reportedly available for £12 million. Lets put this in perspective, as it is not a new pricing trend. Sir Alex Ferguson paid £7 million for the best defender in the league in the form of Nemanja Vidic, but £30 million for Rio Ferdinand. Manchester rivals City signed bench-warmer Joleon Lescott for £22million but paid only £6 million for the first name on their teamsheet, Vincent Kompany. The cost of going home-grown is there for all to see. I wish both Phil Jones and Jordan Henderson the very best of luck at their new clubs. I believe that both will excel in their new environments, and have the necessary ability to make the step up. However the fees paid for their services are detrimental to the English game, and it will be to the cost of the national side and Fabio Capello, who will not have as many players to select for international duty due to the continued influx of cheaper foreign alternatives joining Premier League clubs this summer.